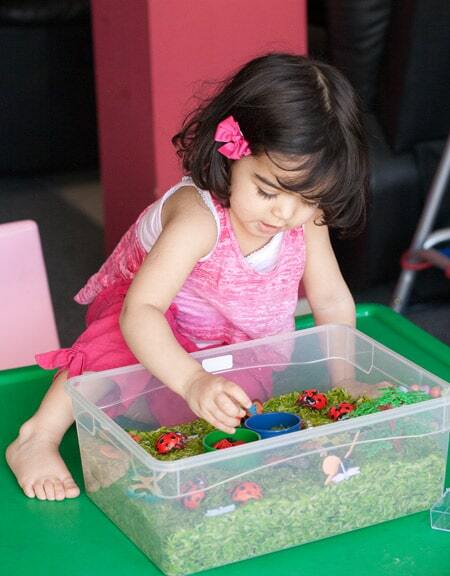 This Toddler and Preschool Insect and Bugs Sensory Bin is a wonderful way for kids to explore insects. My toddler loved learning about ladybugs, butterflies and dragonflies. 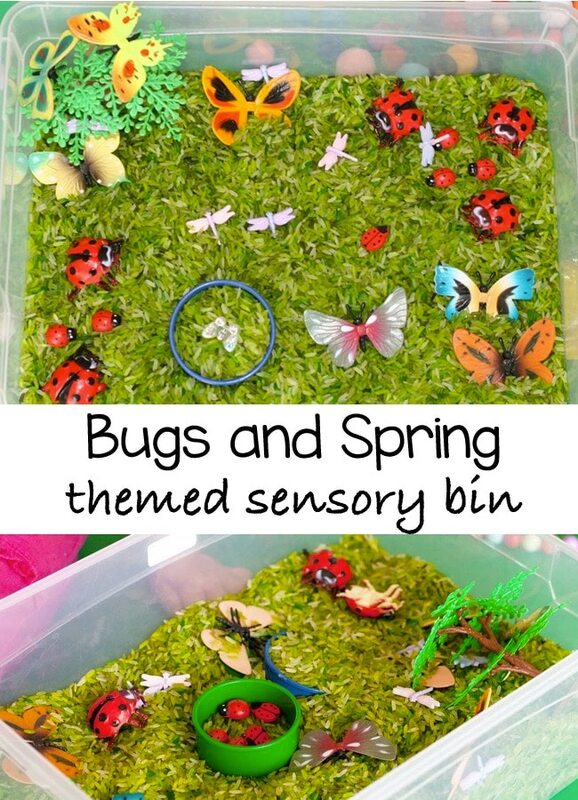 This would also be the perfect Spring Sensory Bin too! 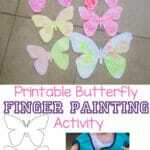 Read on to see the other Insect and Bugs Crafts that we did. 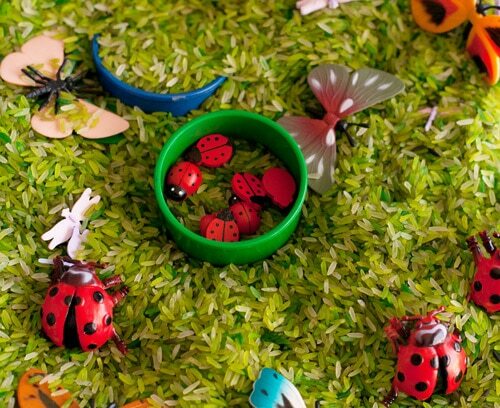 Our theme this week was bugs so I set out a Bugs themed sensory bin for my kids. 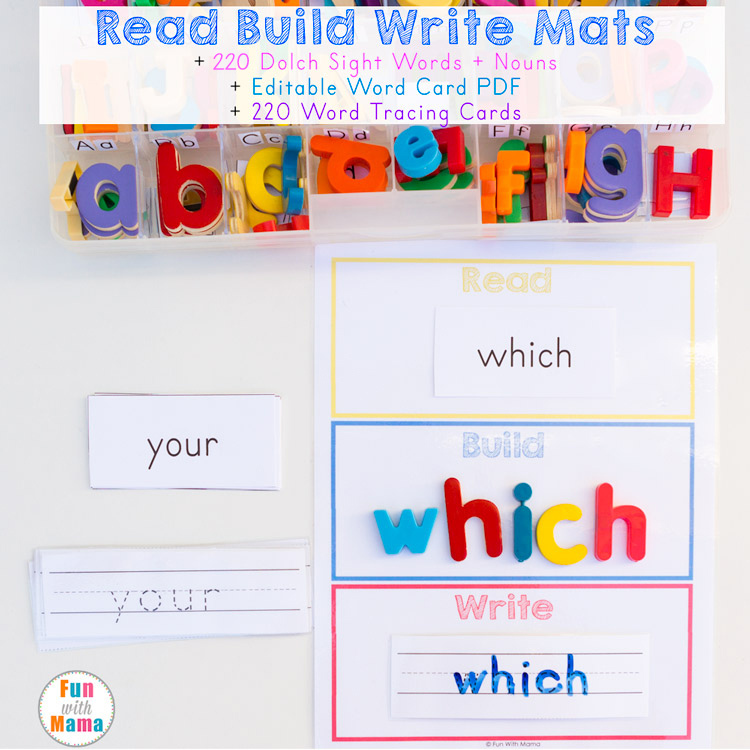 My toddler, preschooler and older kids love exploring and playing with our sensory bins so I try my best to create one each month. 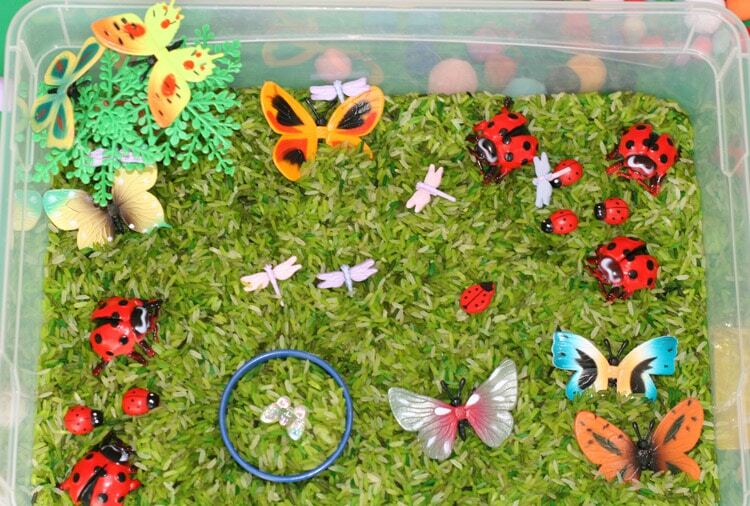 I have been collecting different types of bugs for a while in order to use them for our sensory bin. 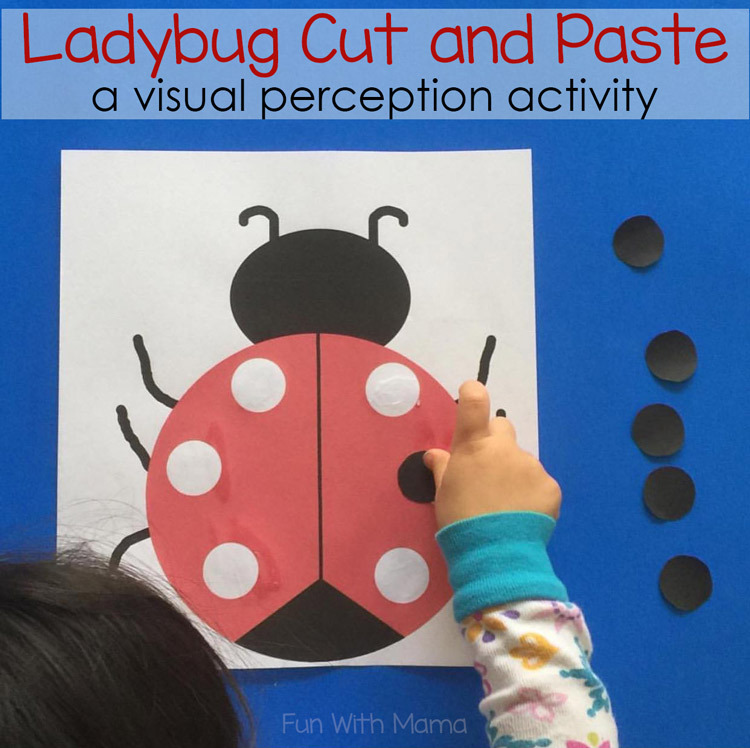 My ladybug cut and paste visual perception activity is a perfect addition to this sensory bin. 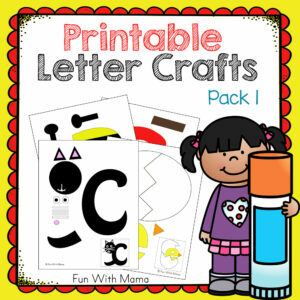 – Different Bugs, tools, cups and other items. 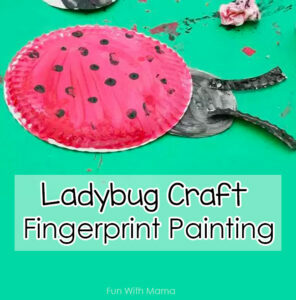 You can use butterflies, insects and ladybugs. These bugs look really adorable! I purchased all the ones I used at a random local store. 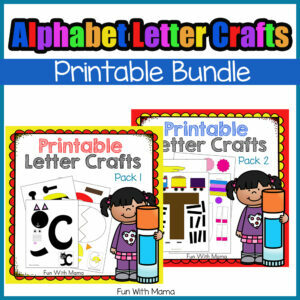 – A bin to place these items in. Add in your dyed green rice. Then add your figurines to create a scene. I added some big ladybugs as well as some small ladybugs. I placed some butterflies and some dragonflies around the bin as well as on the tree. It is always a good idea to add in little cups that you have at home or tools for scooping, pouring, and sorting. 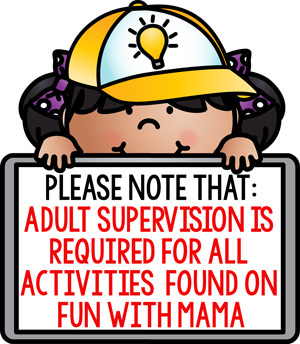 This part ensures that the sensory bin will be used multiple times. She felt the rice and bugs with her feet. She pushed the cups under the rice and hid some of the bugs. She did some sorting by placing all the baby(small) ladybugs in a cup. 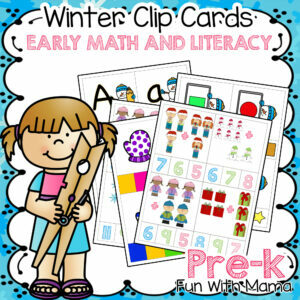 Kids will love scooping, pouring and playing. 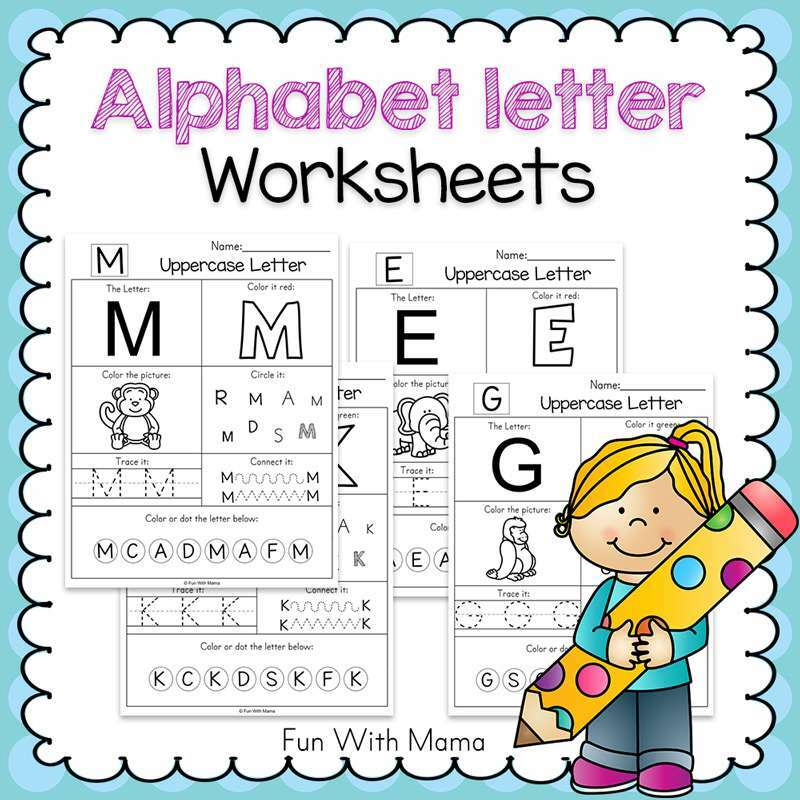 It is also a great activity for siblings to do together. 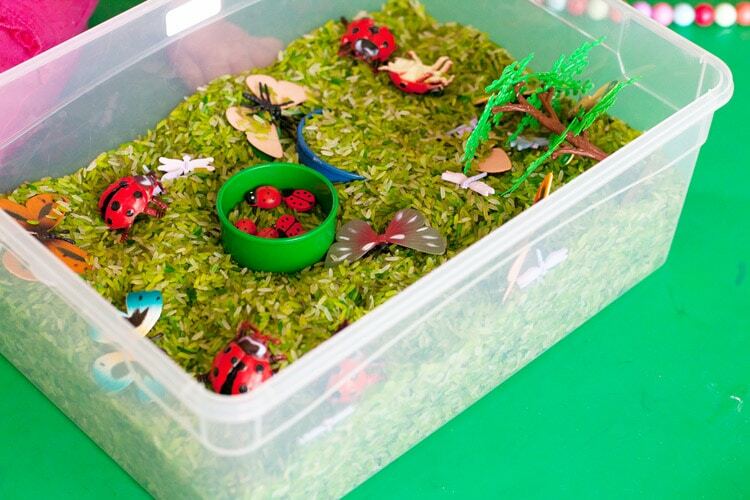 This bugs and spring themed sensory bin was used off and on for many weeks and the kids rarely wanted to put it away. The cups were great for them to scoop and play. They enjoyed hiding the bugs and then pretending they were crawling out. 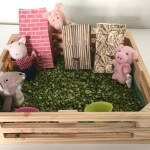 You can have a look at more of my sensory bins here. 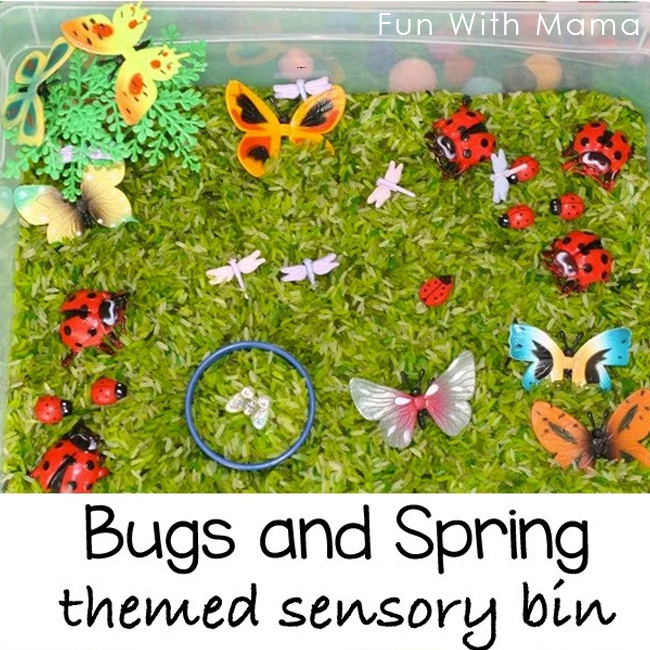 Want to tie in to this spring themed sensory bin? 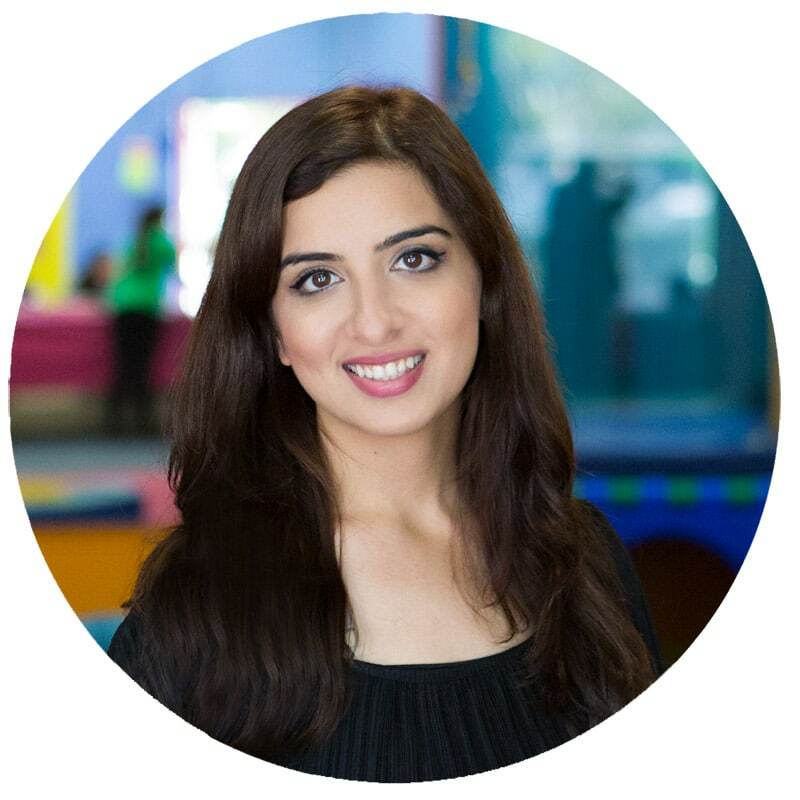 Join me on Instagram here for daily activity inspiration. 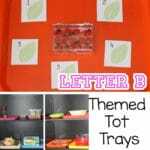 For more creative sensory bins and kids activity ideas follow me on Pinterest.